Last month, I was contacted by "Glamerup" and offered some of their products for a review and giveaway. 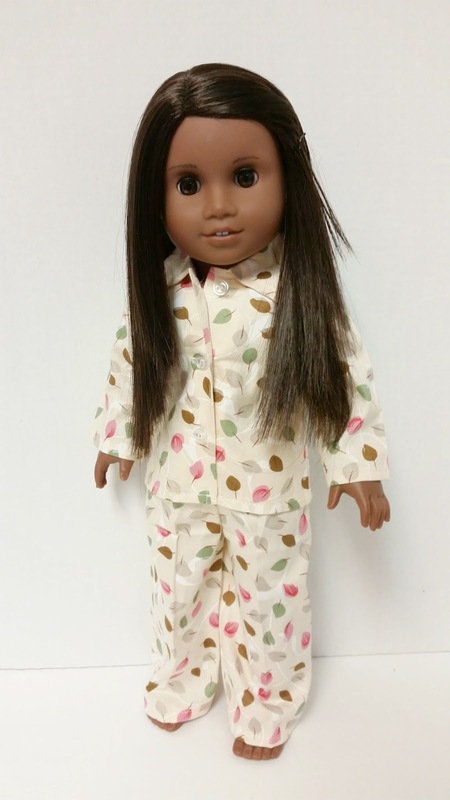 Glamerup is a website specializing in doll clothing and accessories for 18 inch dolls such as American Girl. 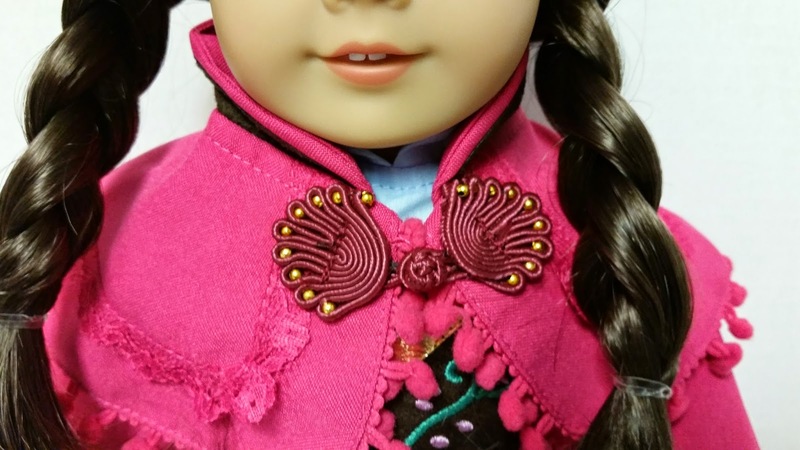 You can find outfits, necklaces, shoes, and other accessories that fit AG and other similar dolls. 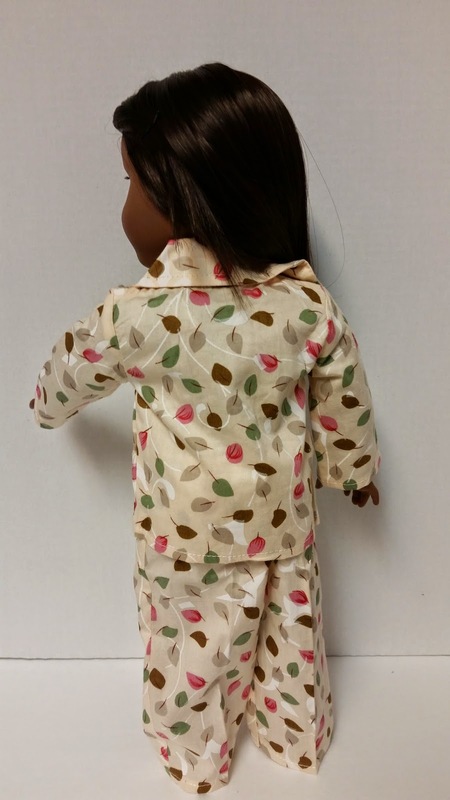 A back view of the pjs. The pj top from the front. 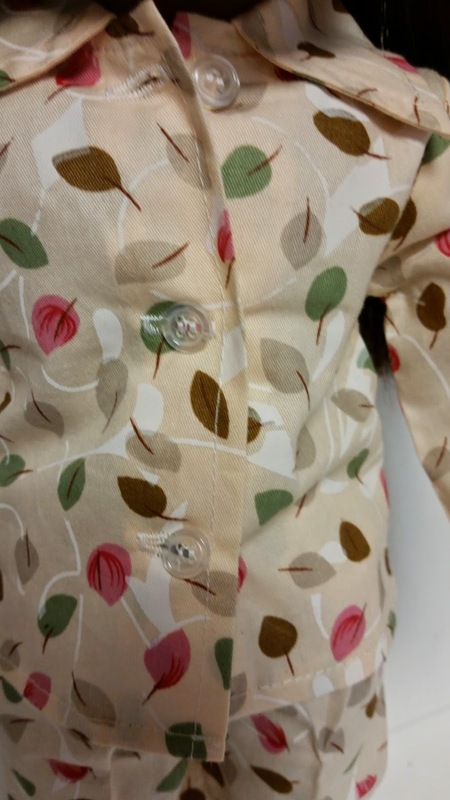 The buttons were very easy to button and unbutton. 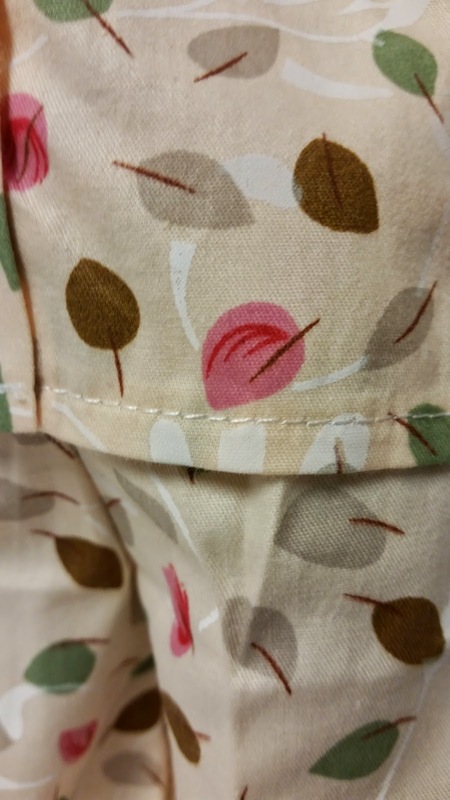 The stitching on the clothing is nice and even. The bottom of the pj top. 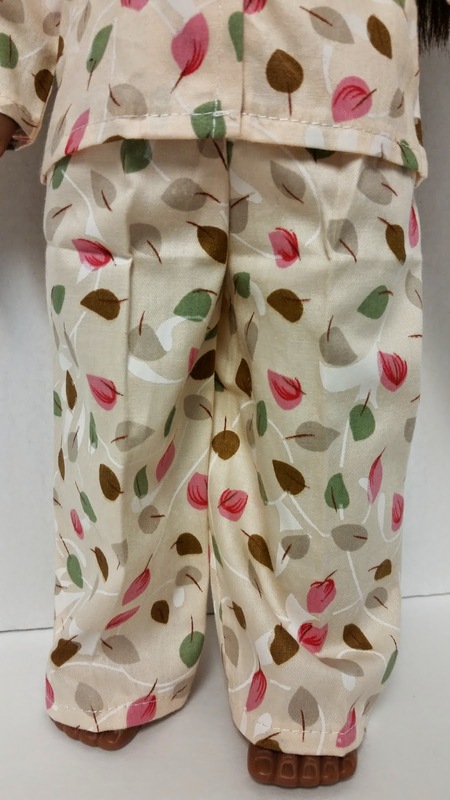 Here are the pj pants. They have an elastic waistband with no Velcro or buttons. 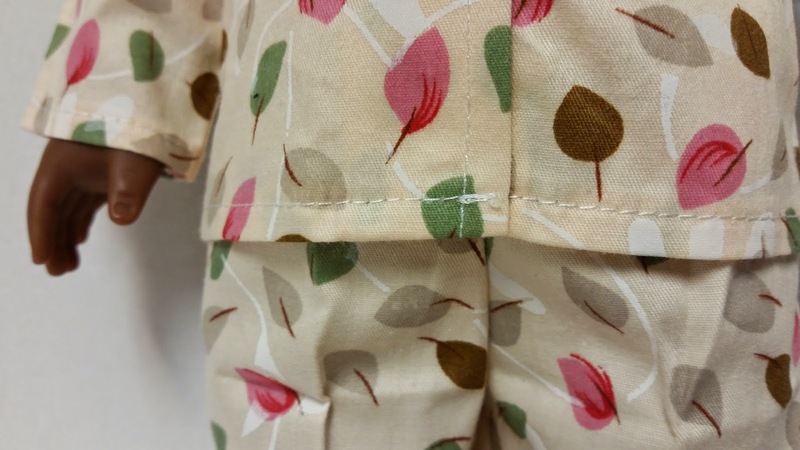 The pjs are made of a lightweight, cottony material. 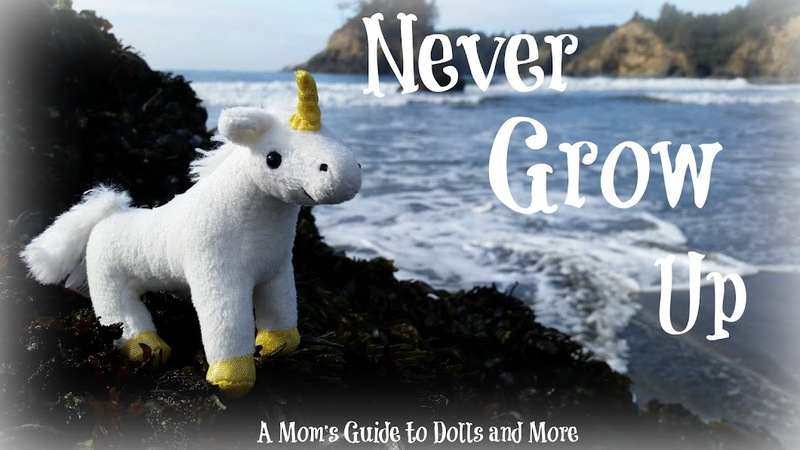 They are super cute and would be a great addition for any doll lover's collection. The outfit has several layers. We'll start with the cape. I liked all of the detail on the cape, such as the lace trim and the little puffy balls hanging from the ends. The cape has a "frog" closure in the front. ...so the cape can come off. The cape from the back. I want to apologize for some of these pictures, including this one. My camera ended up giving the cape more of a salmon color than it really has. It has a nice layer on the top. The hem of the cape. This is closer to the actual color, by the way. 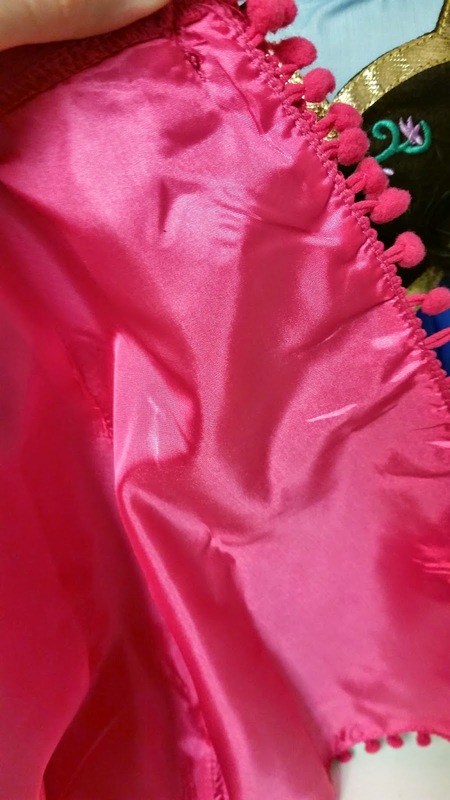 The inside of the cape is lined with a pink, satiny material. The collar is really cute on the dress. 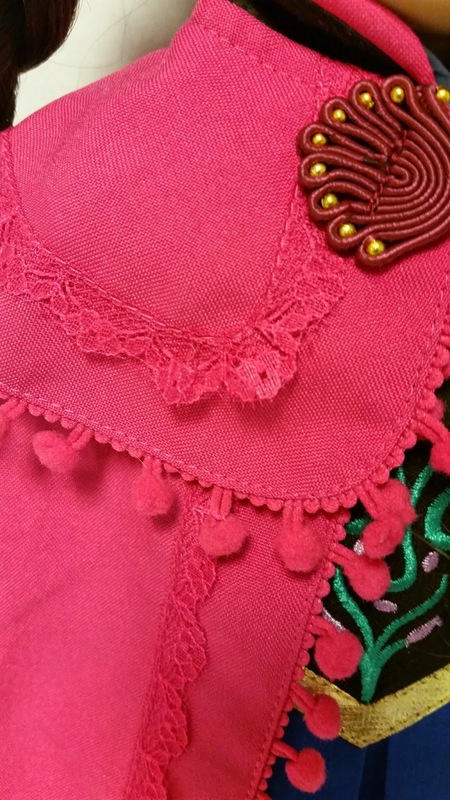 A closer look at the bodice. I love the embroidery. 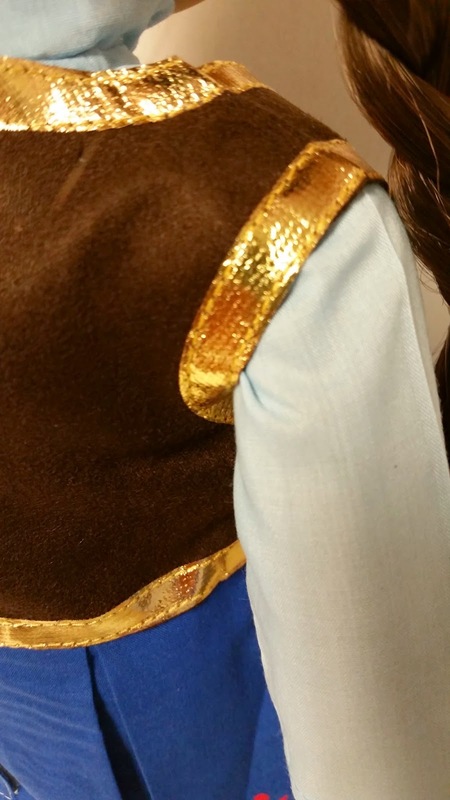 One interesting thing about the bodice is that it's actually made with a slightly brown leather-like material. It's especially noticeable in this picture because of the way the camera decided to capture the lighting. When you see it in person, though, it's not noticeably brown. 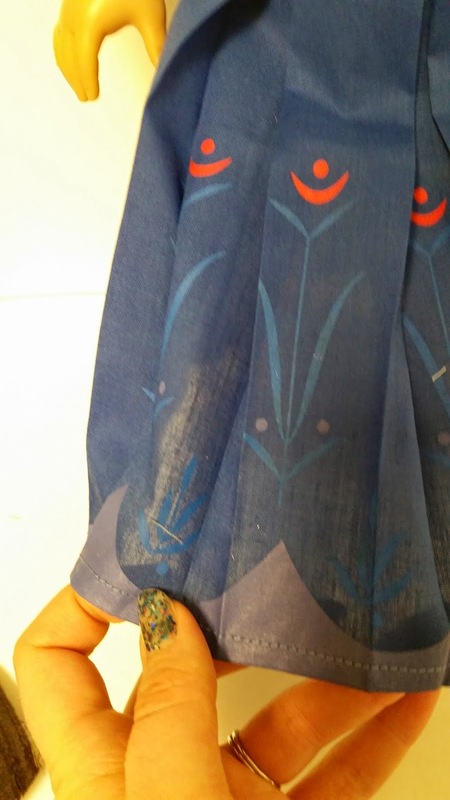 The skirt of the dress. I like the details and the nice pleating. 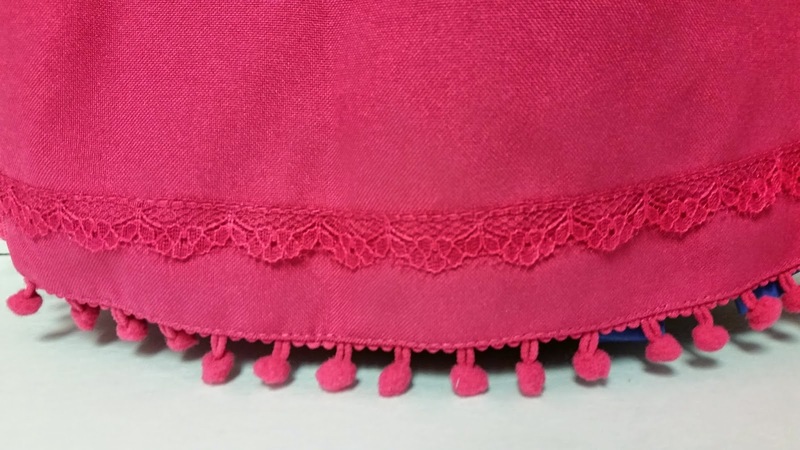 The hem of the skirt. I love the golden trim on the bodice. The bodice opens with Velcro in the back and is completely separate from the dress underneath. And speaking of the dress, here it is without the bodice. The material is pretty thin, but it doesn't feel flimsy or poorly made. The pleats in the skirt also make the skirt part seem less see-through than it really is. I'm quite pleased with the clothing from Glamerup. It's well-made and easy for little hands operate. 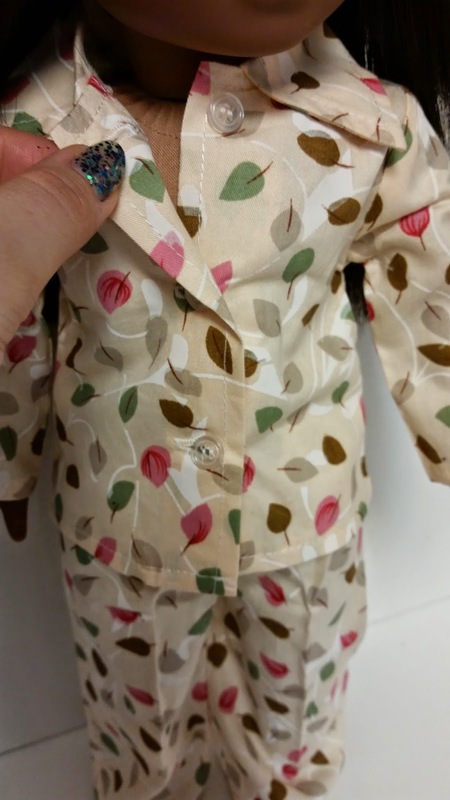 The pricing is comparable to other good quality handmade doll clothing online. They will be adding more items to their inventory in the coming months, so you'll want to keep checking back for more items. 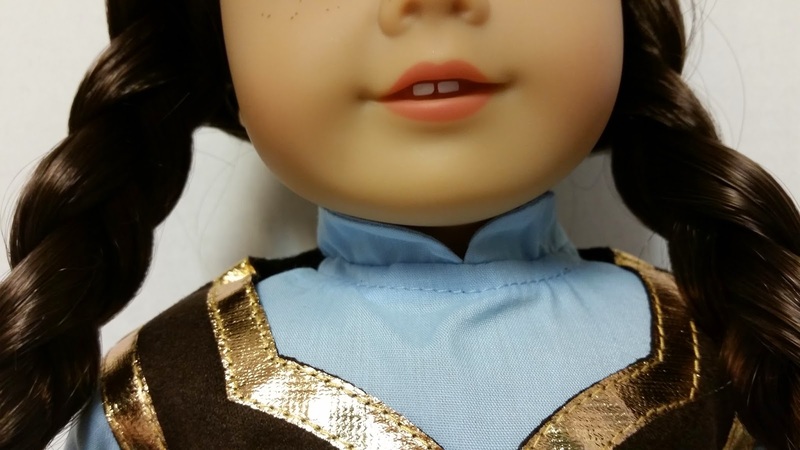 I would definitely recommend Glamerup to other doll lovers and collectors for fun, affordable doll clothing and accessories. 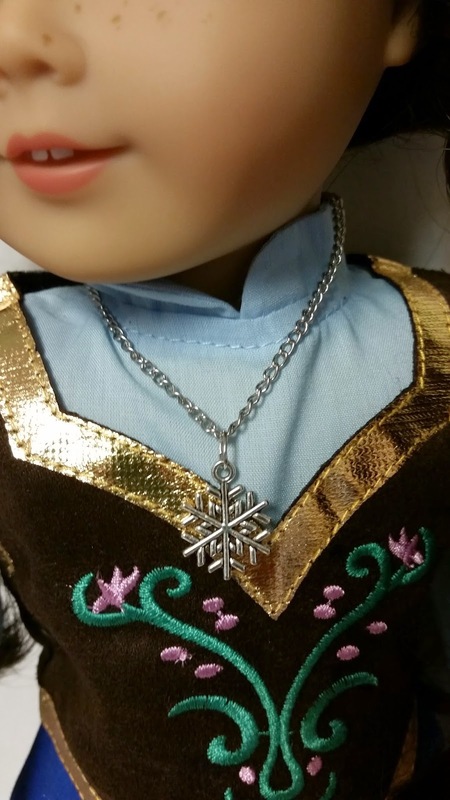 The winner of this giveaway will receive a sweet little summer dress called "Lovely Mariella" and a doll-sized snowflake necklace. I didn't want to open the dress so the winner would be the first to open it. 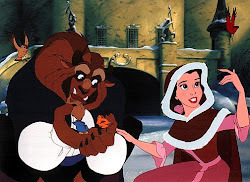 You can see the dress on Amazon.com HERE if you'd like a better idea of what it looks like. It has a nice screw together clasp. 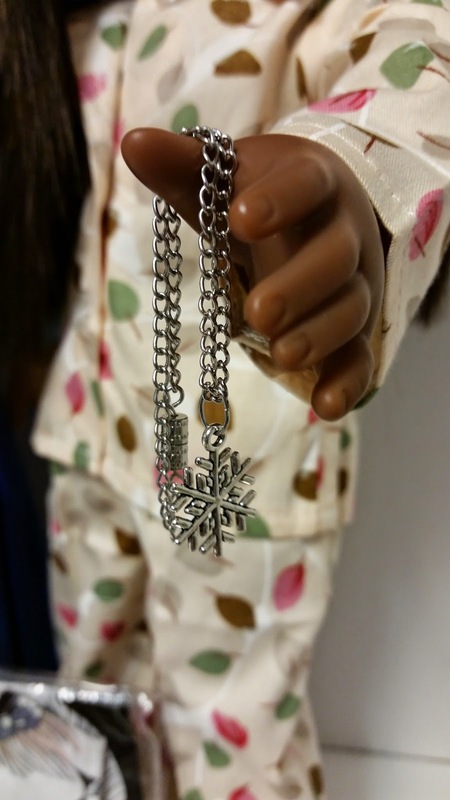 I love these types of clasps on doll necklaces. A regular necklace clasp can be pretty difficult to open and close on such a small chain. 2. 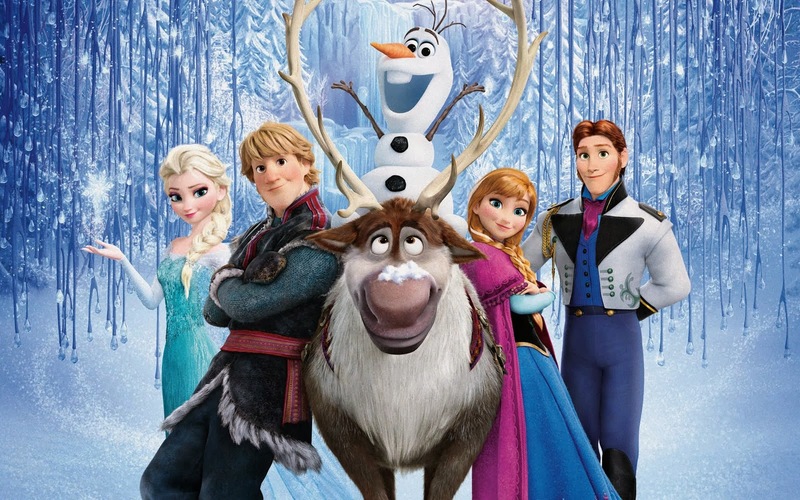 If you're under 18, please get a parent or guardian's permission before entering. I'll have to get your mailing address, and I want to make sure that's okay. 3. To enter, please leave your name or username and email address in a comment on this post. 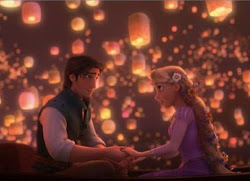 Your comments will not be published and will only be seen by me. 4. The giveaway will be open for entries until Friday, May 1st. On Saturday, May 2nd, I will chose a winner by random draw. 5. The winner will have one week to email me back with his or her mailing address. If I have not heard from the winner by Saturday, May 9th, a new winner will be selected. I received these items as free sample products from Glamerup. All opinions and ideas expressed in this post are my own.